Josh Gates, host of the SyFy channel’s Destination Truth ordered a T-shirt from Amazon. 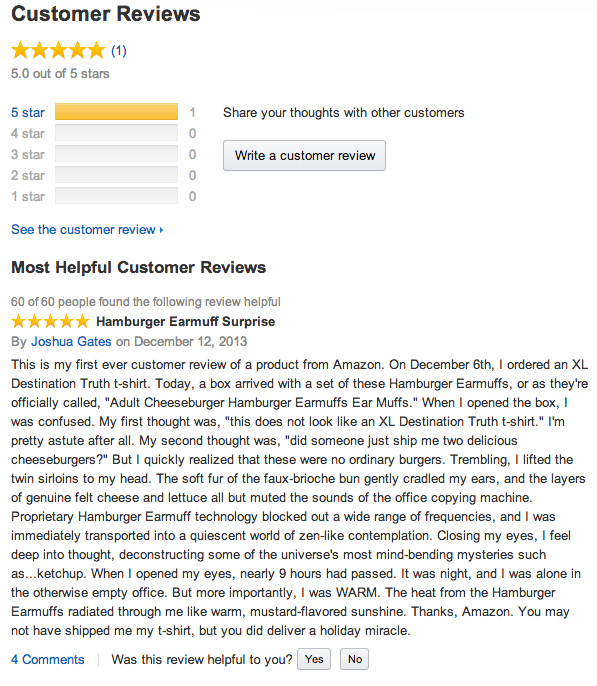 Little did he know they would send hamburger earmuffs by mistake. The joke went viral from there. @joshuagates You don’t get free shirts? SYFY really doesn’t like you, do they? #DestinationTruth t-shirt: $9.99. #HamburgerEarmuffs: $13.99. Who’s laughing now, @Amazon?